Sean is a senior majoring in Electrical & Computer Engineering with an additional major in Engineering & Public Policy. He joined ESC to bring the engineering community closer with free food, fun events, and professional development (but mostly free food). Sean is a captain of the Swimming & Diving team. In his free time, Sean enjoys playing soccer and trying new restaurants in Pittsburgh. 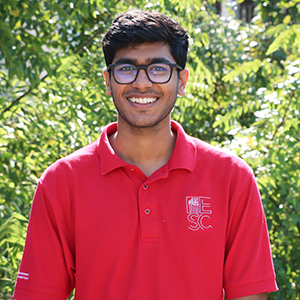 Gaurav is a senior studying Materials Science and Engineering with an additional major in Biomedical Engineering. He joined ESC to help build a supportive and inclusive community of engineers. He has been involved on campus as an RA, in the Independent Musicians Organization, and as the treasurer of the Mortar Board. One of his favorite things to do in Pittsburgh is rock climb at Ascend. 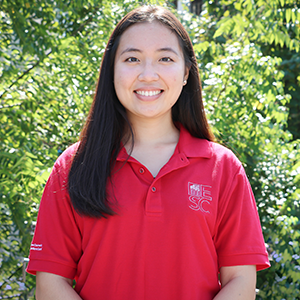 Monica is a senior majoring in Mechanical Engineering with a minor in Robotics. 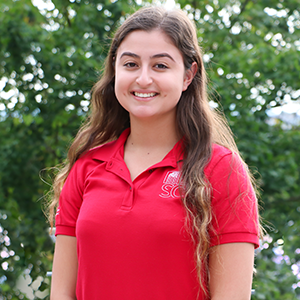 In addition to Engineering Student Council, she is on the executive board for the Society of Professional Hispanic Engineers and works in the Robomechanics lab designing miniature robots. In her free time, she enjoys trying new places to eat in Pittsburgh. Drishika is a sophomore studying Civil and Environmental Engineering and Engineering and Public Policy. On campus, she is the social media chair for ESC, treasurer of ASCE, member of SWE, part of the agriculture project with EWB, Rowing Crew, reporter for CMUTv and a Career Peer Mentor. She enjoys reading, photography, playing the violin, mountain biking, golf, amongst other things. 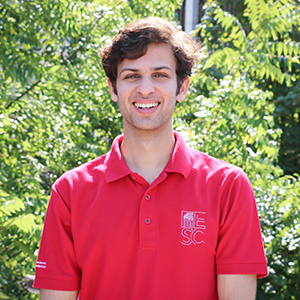 Mohamed is a sophomore studying in Mechanical Engineering, and he joined ESC to create an impact on the CMU Engineering community, while enjoying the events hosted by ESC. Besides schoolwork, Mohamed works as a peer tutor for CMU Academic Development, and dances in CMU Streetstyles, Spirit Dance, and Dancers Symposium. He enjoys food, soccer, tricking and procrastinating. 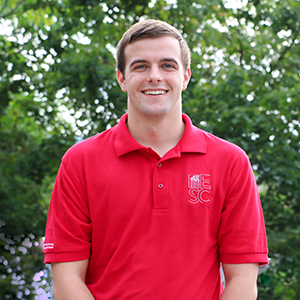 Nick is a sophomore studying Mechanical Engineering, and he joined ESC to help students feel at home in the College of Engineering. Outside of class, he leads campus tours as an Andrew Ambassador and rows with the crew team. In his free time, he enjoys playing the piano, cooking breakfast food (which outranks all other types of food), and exploring Pittsburgh’s abundance of restaurants. Ike is a junior studying Electrical & Computer Engineering. He is a Teaching Assistant in the Computer Science Department and the President of the campus chapter for Engineers Without Borders. Ike is a Turkish-American who wants to build meaningful communities that are accepting of people from all backgrounds. In his free time, Ike likes to cook, play the piano, and go for jogs around Oakland. 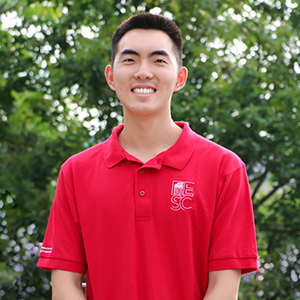 Noel is a senior in Civil and Environmental Engineering and became part of ESC to get more involved in the initiatives that celebrate and connect CMU Engineering’s unique departments. 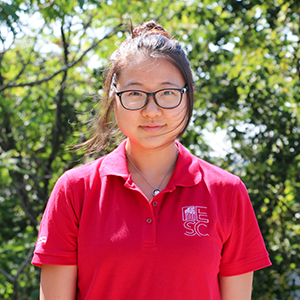 She is involved in Chi Epsilon, Spirit, IDeATe, and Engineers Without Borders. In her spare time, she cooks a lot, participates in campus maker/fabrication culture and explores cafes in the burgh. Irene is a senior studying Electrical & Computer Engineering. She is also a Teaching Assistant in the ECE Department and an ECE Student Ambassador. She is interested in blockchain technology and human-computer interactions. On the weekend, she enjoys longboarding, dessert, and watching movies in CUC McConomy. 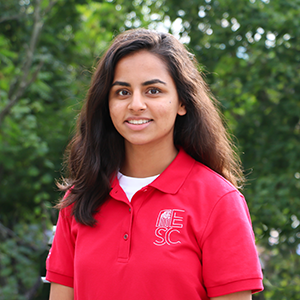 Vaheeshta is a sophomore studying Electrical and Computer Engineering and joined ESC because she enjoys bringing her peers together to enjoy the good things in life. 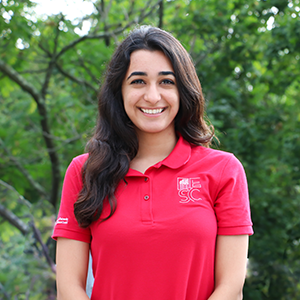 In addition to being a member of ESC, Vaheeshta is a Teaching Assistant for 15-110 and a member of SWE, Iranian Student Association, and CMU Hyperloop. When she is back home, Vaheeshta loves spending every second she can performing and practicing with her Persian dance team. 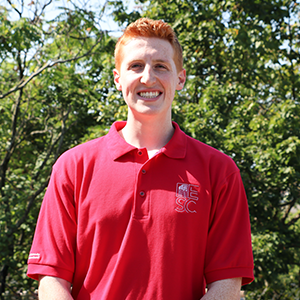 Jack is a rising senior in Chemical Engineering with a double major in Engineering & Public Policy. He is involved with the Global Business Brigades, Engineers Without Borders, Kiltie Band, and the Engineering Student Council. 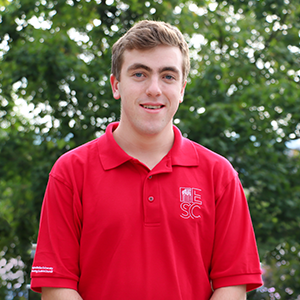 Jack is a Career Peer Mentor on campus. He likes to kayak down at the point. Grace is a junior studying Civil & Environmental Engineering and Engineering & Public Policy. 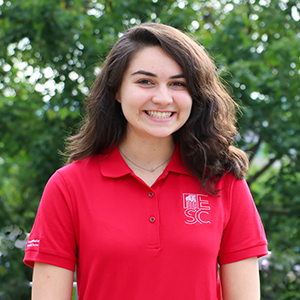 On campus she is community outreach chair for ASCE, a member of the Student Giving Committee, and involved with the sustainability club. She is interested in mitigating climate change through renewable energy and emissions policy. In her free time she enjoys running, hiking, exploring new places, and cooking. 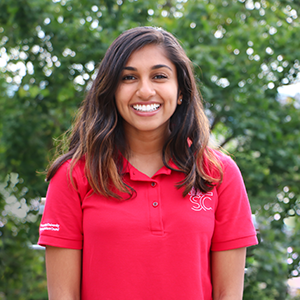 Nikhila is a sophomore in Mechanical Engineering and Biomedical Engineering, and she became a part of ESC to help bring the College of Engineering closer together and create new friendships. She is involved in A Cappella, Society of Women Engineers, and BMES. In her free time, Nikhila likes to be outdoors, compose music, and explore new places to eat. Kayla is a sophomore studying Electrical & Computer Engineering and Biomedical Engineering, she is interested in the intersection of medicine and technology. 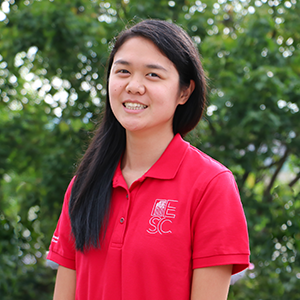 She joined ESC in order to represent her class and to contribute to building community within the College of Engineering. She also serves on the executive board for Society of Women Engineers and Society of Hispanic Professional Engineers. Her goal this school year is to visit the cat cafe in Downtown Pittsburgh. 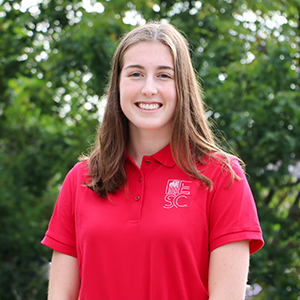 Sophie is majoring in Mechanical Engineering and pursuing minors in Operations and Supply Chain Management as well as Global Systems Management. On campus, Sophie is an RA, a site leader for 1000Plus Day of Service, and a member of Fringe Buggy. In her free time, Sophie likes to stay active and explore the city with friends. Michael is a junior in Electrical and Computer Engineering who is interested in optimizing circuits to speed up computation. His goal in ESC is to create fun and memorable events for his fellow classmates to celebrate engineering experiences at CMU. 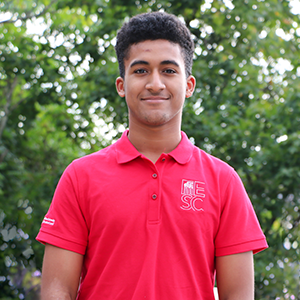 Outside of ESC, Michael helps children’s hospitals through Project Sunshine, and gives academic advice to other students through TA-ing and Academic Coaching. In his free time, Michael likes to eat fancy food, play piano, and watch basketball. For information about the Community Building Committee, contact Kurt Larsen 412.268.2479 or klarsen@cmu.edu.